Going back some thirty years ago companies began to realize improved health and attitude of their employees added to productivity and therefore profit. And the term ‘wellbeing’ crept into the lexicon of corporate life. How it impacts the workplace? Wellbeing is a term that encompasses personal health, happiness, comfort and security. When a person has a sense of wellbeing, stress is reduced and day-to-day tasks and responsibilities are much easier to deal with and accomplish. In the workplace this results in higher productivity. Evidence to this effect is backed up by institutional studies and surveys. Not surprisingly, companies are now investing resources to improve the wellbeing of their employees. Some companies even have an entire department devoted to this purpose. With the aim of making a positive impact on employees, companies have organised a multitude of programs and activities which take on many forms. Alsco helps workplaces maintain and improve employee health and safety. Their hassle-free renting services of clean hygiene systems, comfy linens, fully managed first aid kits and sanitised uniforms make for well-being of employees at economic sense too. The Corporate Games was established in 1987 to encourage organisations to realise the benefits of supporting their employees in their pursuit of health, fitness, and a better work environment and provide an opportunity to include employees, clients or family members in team building and goal setting activities which are fun and rewarding for everyone. The Corporate Games is a multi-sport festival in which companies can enter teams in up to 20 sports. Some of the these are Basketball, Football, Volleyball, Cricket, Softball, Netball, Golf, Running, Badminton, Tenpin and Tennis. Corporate Games are held in many countries around the world. Emphasis is on participating, giving it a go, and being part of a team; not on winning. A company’s team may consist of just one person, but often teams will enter in several sports. 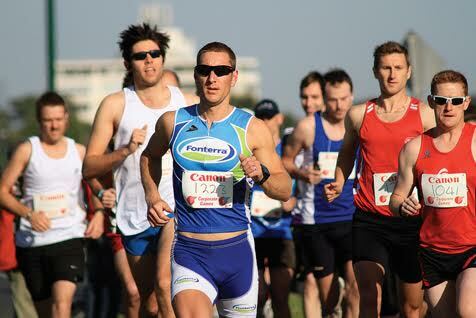 Since 1993 Corporate Games have been held in Australia and is the largest in the world, where 10,000 people have turned out for a weekend of fun and sport. Creation of employee confidence, loyalty and team spirit (‘esprit de corps’). Improved internal and intra-staff communication. Integration of staff from every level in the organisation, from senior management to trainees. Increased staff fitness and enhancement of existing employee health and fitness programs. Growth of pride and unity in participating divisions, departments and sections. Increased productivity and enthusiasm for work. Increased public awareness of the organisation’s people, products and services. Opportunities for new contacts and expanded business. The opportunity to win one of the Games awards. Opportunity to institute incentive programmes. Opportunity for Public Relations and Marketing departments to capitalise on staff and client participation in the Games. To encourage more companies to take part Entry Fees for the Corporate Games is generally less than other similar events. Online entry is easy. Just visit the Games website and go to the ‘Games Online Entry System’ (GOES). The entry system also can be customized to suit the specific needs of a company and to make the process of getting a team together easier. Games staff is on hand to assist and answer questions about the Sports and the Entry Process. The enthusiasm the Games creates is substantial and leads to an experience that is both memorable and rewarding. The Corporate Games can take some credit for its contribution toward wellbeing in the workplace and it proves there is a way to be ‘Fit for Business’ and have fun doing it. Would you like your company to participate in this much awaited Corporate Games? Contact Corporate Games for details. Alsco would like to thank Corporate Games for this article. Corporate Games is Australia’s largest and longest running annual multi-sport championship with over 4,000 organization participants. They are established to encourage teamwork and a commitment to fitness and health. For more information, visit their website at www.corporategames.net.au. Would you like to improve and maintain the wellbeing of your staff in the workplace? Partner with Alsco for a hassle-free and fully-managed rental solutions that both you and your staff would surely enjoy. Call 1300 659 892 for a FREE quote.